If I had to define my style it would be easy with a twist. I prefer basics but I also want something that has unique details without much hassle. 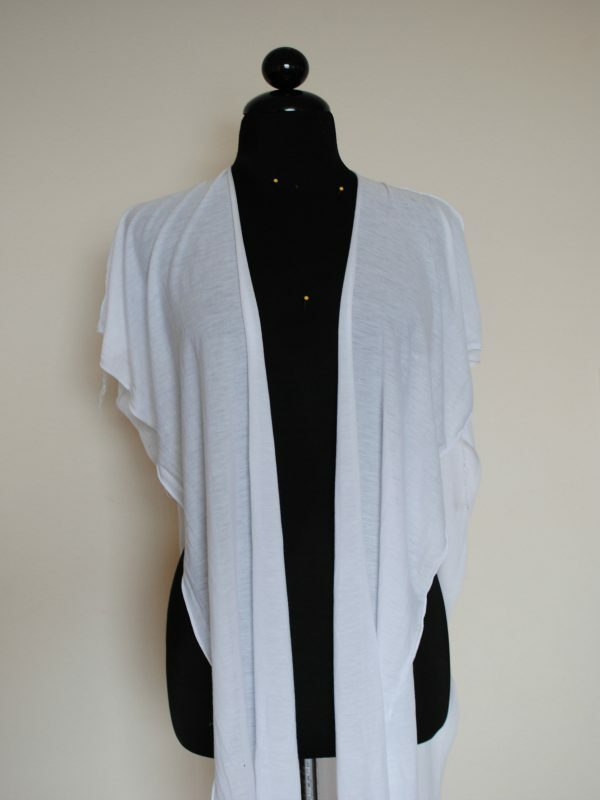 I designed this knotted kimono to be a versatile piece I could transition from beach/pool cover up to day and night. It’s an easy-to-wear silhouette that can be worn for many occasions with that touch of originality I look for. Make this in a jersey knit or light gauze for a casual boho look or even a rich velvet for an evening dress. 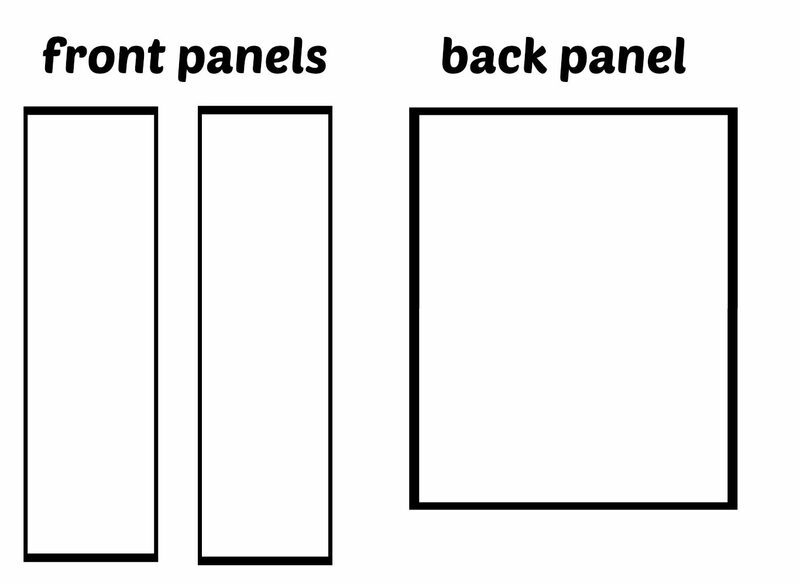 Follow the simple tutorial below to make your own below. general sewing supplies: scissors, measuring tape, pins, dress form if you have one. The pattern is just three panels of fabric. Two for the front and one for the back. 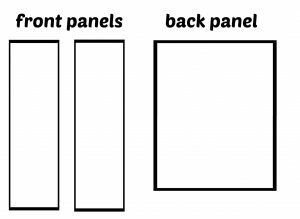 Mine measured 12.5″ x 45″ for the front panels, and 30″ x 38″ for the back. 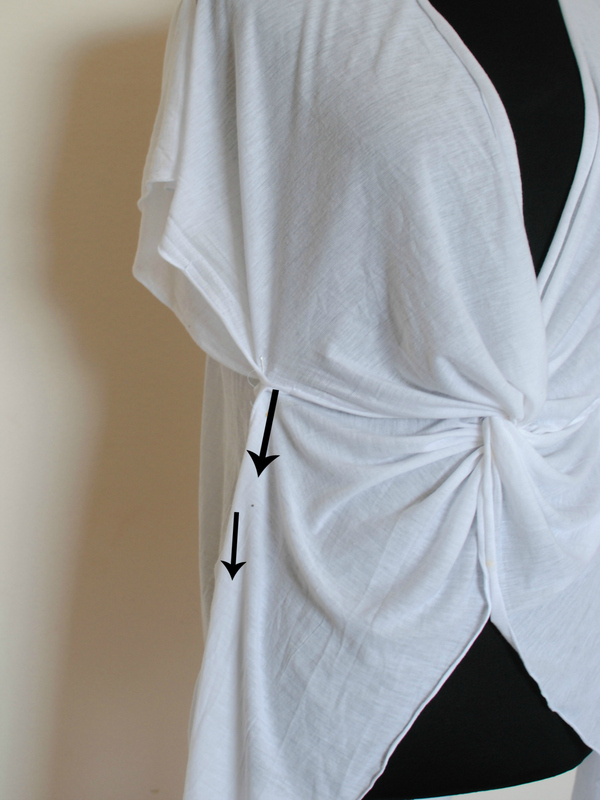 You will want to base this off of your measurements (check to see how long you want the Kimono to be—that will be how long to make your fabric pieces). 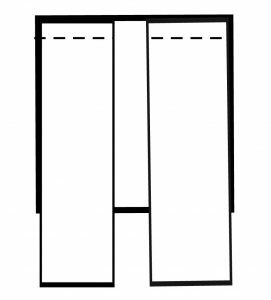 You will want the front pieces to be slightly longer than the back. 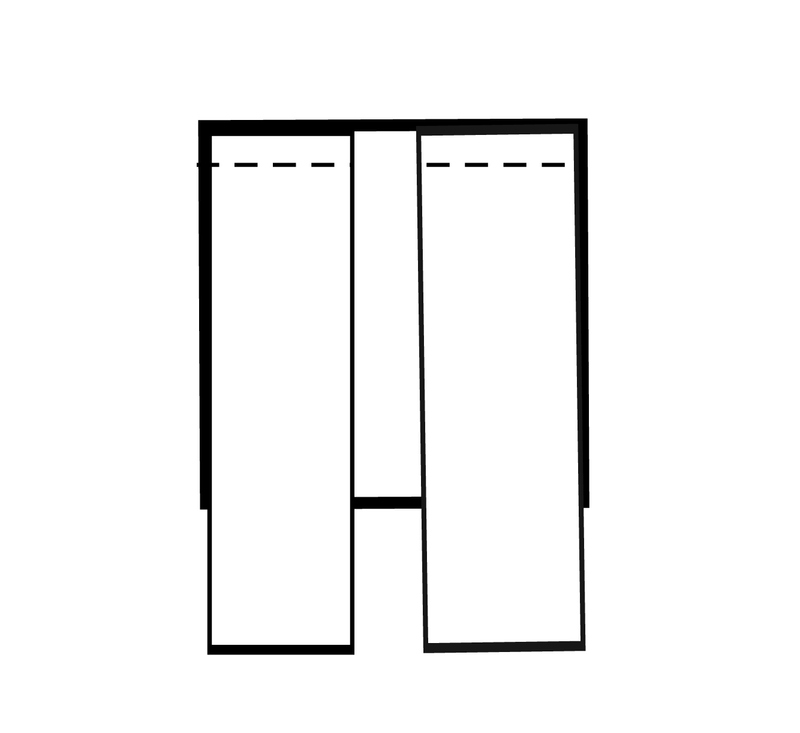 With right sides together sew the front panels to the back panel as shown in the illustration. Begin with right sides together and have some pins handy. Twist the two front panels as shown in the photos. Pin the “knot” together as shown where the arrows are and sew right sides together about 1/4 inch seam allowance. 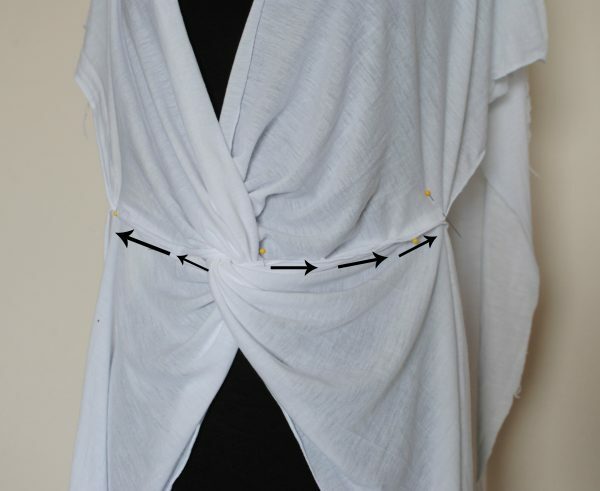 Now place again on the form or yourself with wrong side out…Pin the side seams where you want the arm opening to start and sew down to the hem on both sides. I wanted a loose feeling to mine so I made my arm holes larger. If the bottom hem doesn’t line up, it’s okay you can adjust that later. 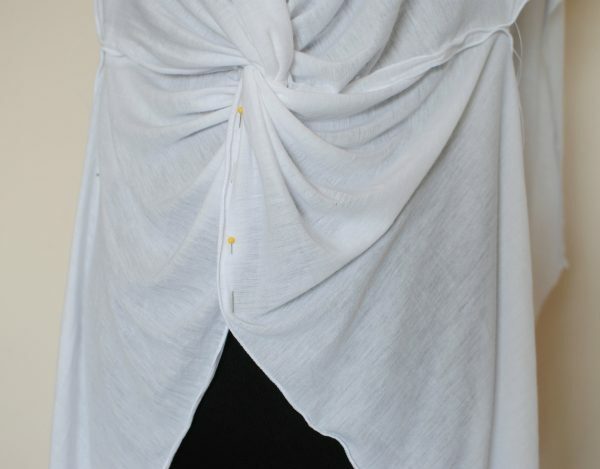 The center should drape on its own, but if it opens too much for you then you can also sew this part down a bit. Now you can fix the bottom hem if it's off a bit. Finish your edges with a rolled hem from the serger or leave them raw since it's knit. This is the most beautiful and elegant looking dress that I have ever seen and I loved it. I am sure to get the same dress which can be really useful for any special event to attend. I like the styling of the shirt. beautiful white and gentle design.